Ring News 24Boxing News Breaking Boxing NewsWhat direction will Tyson Fury go in if he loses on Saturday? If you take a look at Tyson Fury these days, all the confidence seems to be there. Fury (27-0, 19 KO’s) will be facing off with WBC heavyweight champion Deontay Wilder (40-0, 39 KO’s) on Saturday night, and thus far, throughout the lead up to the fight, and during fight week, he seems in control of his emotions. Wilder, on the other hand, has been far more animated this fight week, and it makes you wonder if he is fully focused on the mission at hand. Either way, we are looking at a big heavyweight showdown this weekend, with much on the line for each man. Fury returned to the sport this year following a two-and-a-half year layoff that saw him gain much weight and become depressed. But he’s appeared to have conquered his demons and will be looking for a big shocker inside of the Staples Center vs. Wilder. Speaking this week, Fury reflected back to the biggest win of his career, over Wladimir Klitschko, a triumph that saw him become the lineal heavyweight champion of the world. Wilder and Fury appear to have a great respect for one another, despite all the theatrics they produce, but Fury still wants to let his hands go. Fury knows all too well the public is going to have opinions on him, especially due to his hiatus from the sport, but he’s taking everything in stride. What makes this fight interesting is that Fury has brought on multiple Trainer-of the-Year Freddie Roach to this team. After shifting his camp from Abel Sanchez’s Summit Gym in Big Bear, CA, Fury finished up at Roach’s Wild Card gym in Los Angeles. Seems like Fury definitely has a fighting chance, but a victory is guaranteed on Saturday. One has to wonder where the 30-year old outspoken Brit will go if he were to lose to Wilder. For one, there are still several options in the heavyweight ranks and a lot of big names out there. 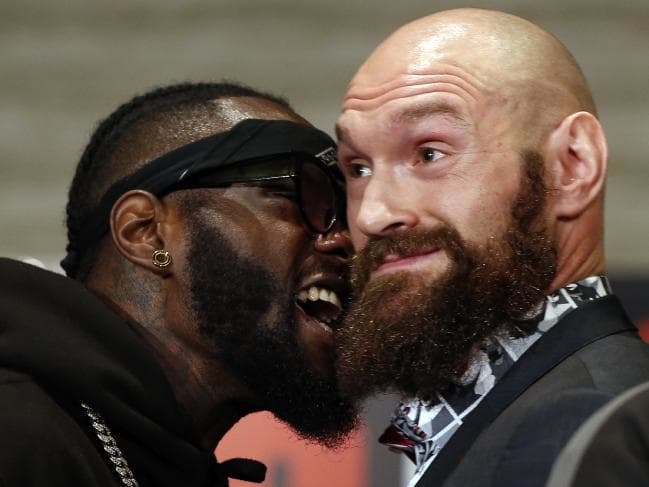 Ideally Fury would love to win and reclaim his status as a champion, yet he must find a way to neutralize Wilder’s power. If he loses, who knows how Fury will take it? A defeat would surely wipe away a possible dream showdown with IBF, WBA, WBO champion Anthony Joshua. Also, would Fury be affected mentally if he were to lose, such as was the case during his time away from the sport? Regardless, if he chooses to keep fighting, Fury is still a top ten heavyweight, win or lose, and will have several options after this weekend.